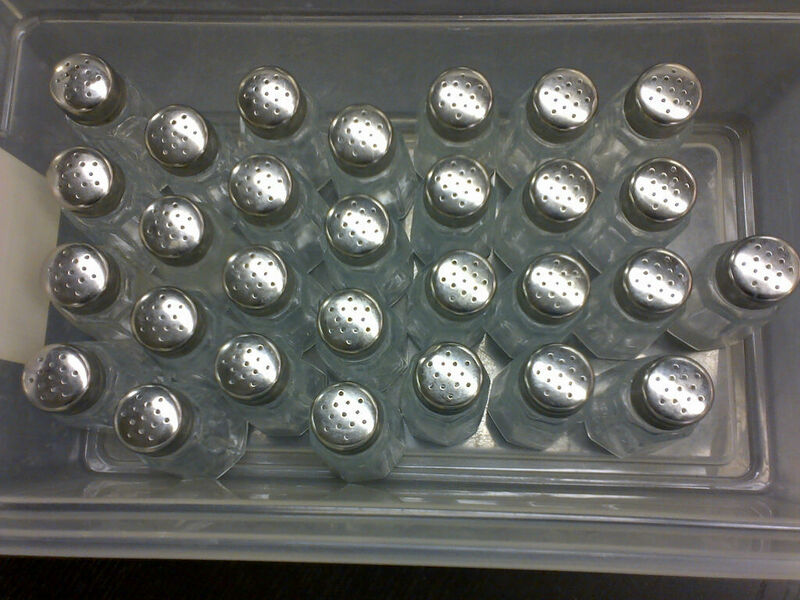 Anyone want a set of 21 salt and pepper shakers? What a great way to store glitter for crafts, make cute Christmas salt of the earth ornaments, to store seeds, sprinkle cinnamon and sugar with, etc. Contact Mimi at the church office if you’d like some or all of these twenty-one (yes, 21) nifty, versatile salt and pepper shakers!